Rectory Musings: I Don't Want to Survive. I Want To Live! On Friday night we watched the harrowing but very important film ’12 Years A Slave’ from which that quote comes. The film tells the true story of Solomon Northup, a free black man from upstate New York, who is kidnapped and sold into slavery in the South. Subjected to the cruelty of one malevolent owner, he also finds unexpected kindness from another, as he struggles continually to survive and maintain some of his dignity. Then in the 12th year of the disheartening ordeal, a chance meeting with an abolitionist from Canada changes Solomon's life forever. ‘I don’t want to survive. I want to live!’ That cry from the guts of one oppressed, taps into the longings of many - of the displaced Syrian mother, the bankrupt father, the abused daughter, the addicted son. It resonates with the community grieving in San Bernadino, in Paris, in Chad and in Nigeria. God knows things could be different; should be different. Yes he does. The book of Baruch does not feature in the Hebrew version of the Bible but does feature in the Septuagint which is the Greek translation of the Old Testament. The book also features in the scriptures that the Roman Catholic, some Anglican and some Orthodox churches use today. It was probably written at a time when when Jews were scattered - some deported to Babylon and some dispersed around the Mediterranean sea. 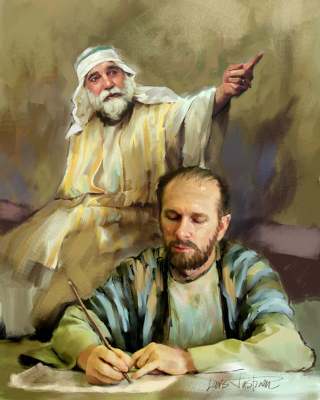 Earlier in the book, the writer, traditionally understood to be Baruch, the prophet Jeremiah’s scribe, states that the reason for the exile is to do with disobedience to the ways of God. For more that 12 years corporately they have cried, ’I don’t want to survive. I want to live!’ God hears the cry of his people. Things are about to change. ’...It is a moral outrage and national disgrace that civilians can legally purchase weapons designed to kill people with brutal speed and efficiency... America’s elected leaders offer prayers for gun victims and then, callously and without fear of consequence, reject the most basic restrictions on weapons of mass killing...’ So ran yesterday’s editorial of the New York Times. have scattered and to ease their passage - God will change the physical landscape - so that He and His people may dwell together again. substantive change comes, not only by longing, but by action - in this case the action of God. Following the debate and decision in Parliament this week to deploy aircraft to bomb ISIS targets in Syria, a forces charity - Combat Stress - has called for urgent extra funding to support veterans suffering with post traumatic stress - the inner injuries of war that no one initially sees and can take years to surface. In the last year, referrals to the charity went up 25% and they expect them only to rise. Luke is keen to locate the story he tells in this morning’s Gospel, with the accuracy of a surgical strike. He lists places and people as the cross hairs of history. And in those sights is John, in the wilderness as the Jews were back in Baruch’s day, hearing again a call not just to survive but to live! Luke uses words from the prophet Isaiah which resonate with those of Baruch about God changing the landscape - preparing the way - but not just so people can return to God, but so that He can come to them. The coming of God is unseen because it involves changing the landscape, not of the physical world, but of the core of our being - the place from where we cry out ‘I don’t want to survive. I want to live!’ John proclaimed a baptism of repentance for the forgiveness of sins - Jews of his day will have known of 2 baptisms (ritual washing and Gentile conversions to Judaism) but this was new. Literally a baptism of a reorientated heart and life. A baptism that symbolised a change in the places other cannot initially see - the landscape of our hearts - brought about not by us, but by the God who comes to us... still. want to live? Did we rally mean it in the waters of our own baptism that we wanted a reorientated heart and life? 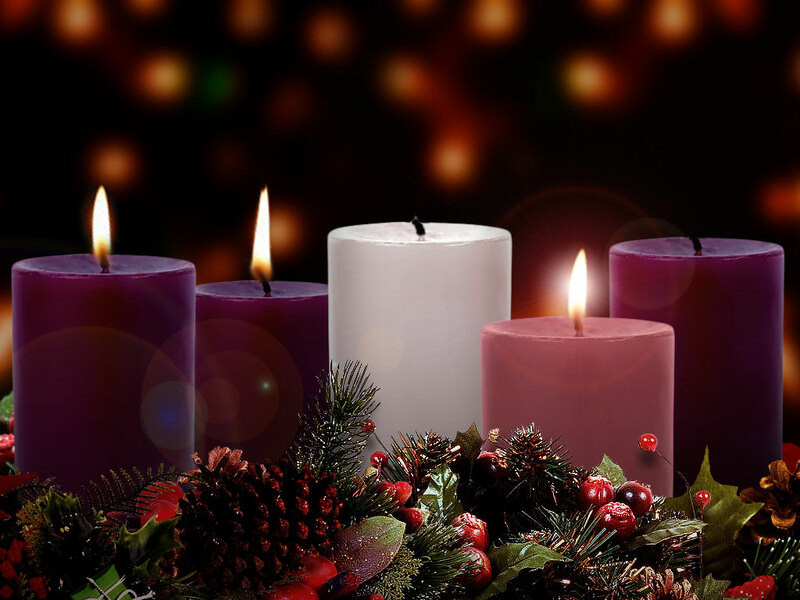 Advent is a time to look again at the things that others don't directly see - to slow down and stop - where are we - in a prosperous place or a moral wilderness; to take a examine at our motives and our day to day decisions and ask what drives them; if we are wanting change are we willing to act by allowing God to act in us to reshape our hearts and our lives?